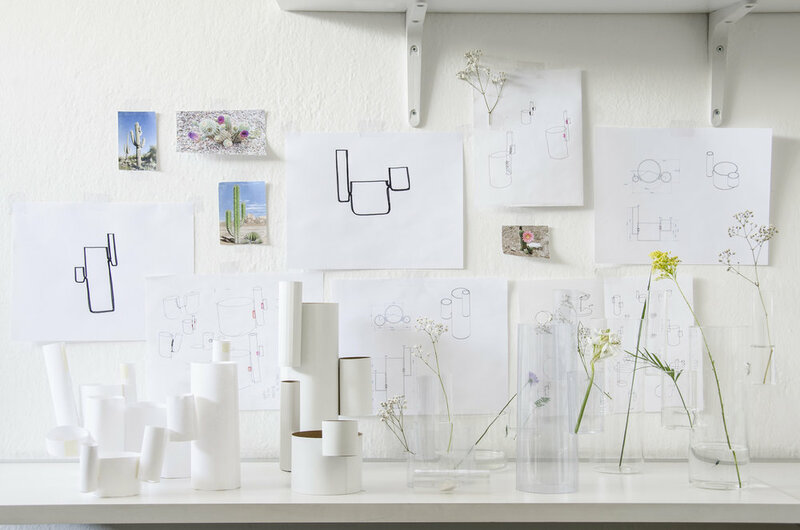 The concept of this vase collection is to have different cylindrical containers that are connected between them but with independence at the same time, each container has different diameters and heights, giving the feeling of rhythm and balance. 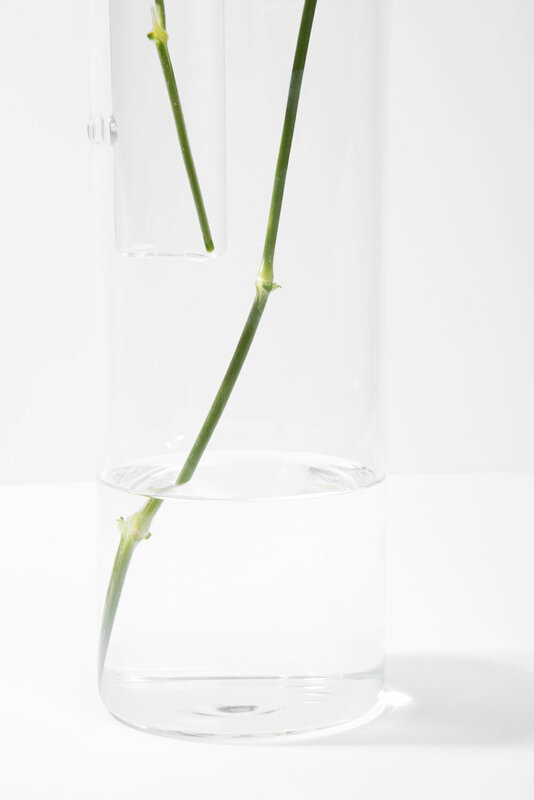 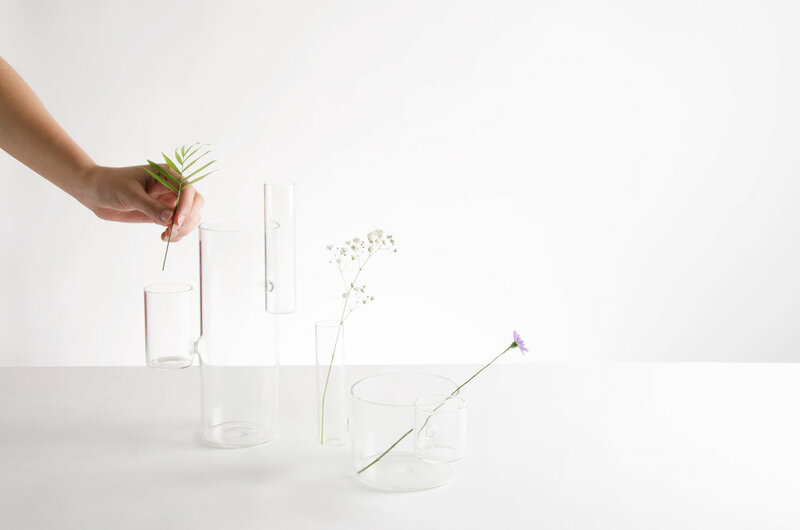 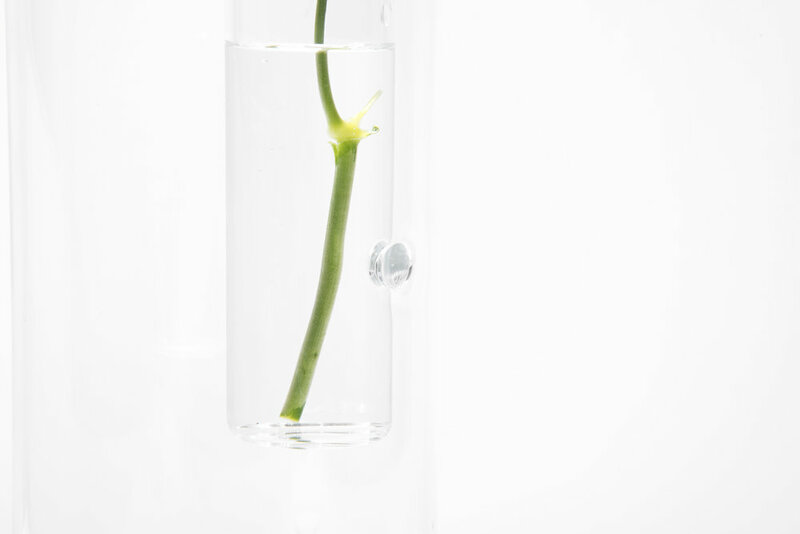 The vases are made of borosilicate glass, which allows a pure and geometric appearance, with clean and solid connections. 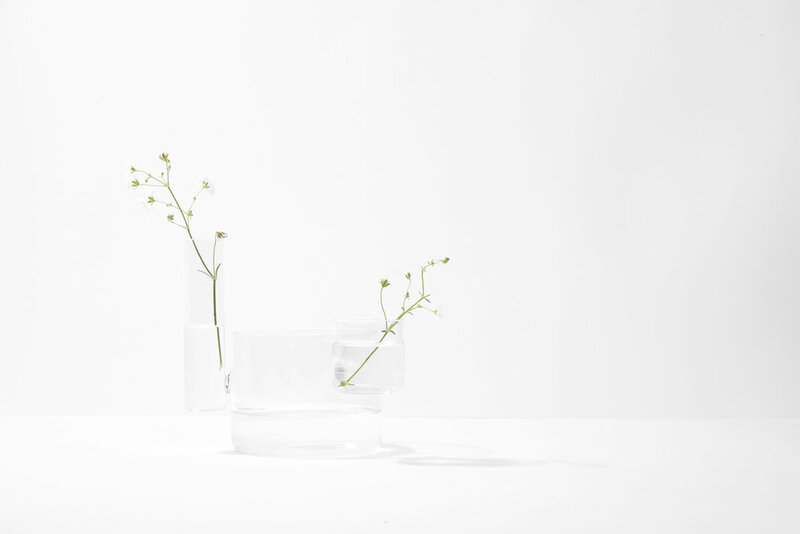 The cylinders heights incite to play with the flowers, giving individuality to the elements of this object and making the flowers and the water look like they are floating, generating a micro landscape feeling.